Sgt. John J. McLean, U.S. Signal Service (right), Assistant Paymaster Edwin B. Webb, U.S. Navy, ca. 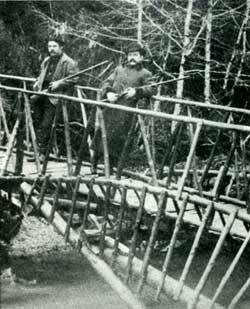 1885, on Indian River bridge.